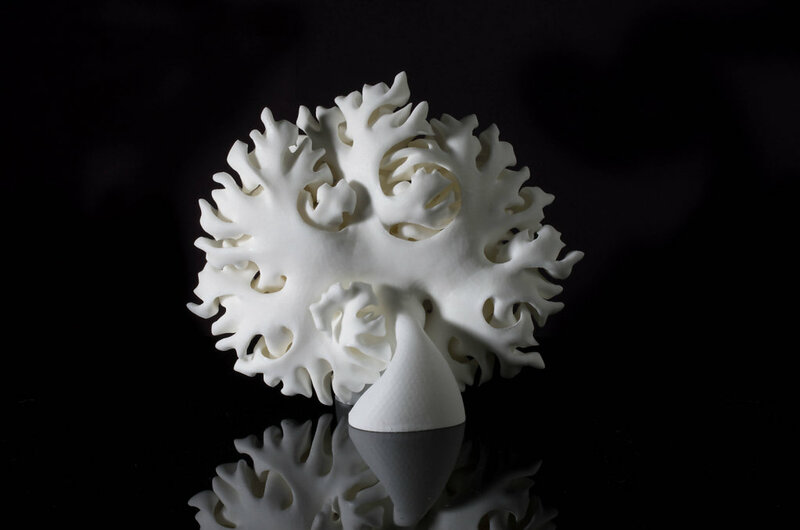 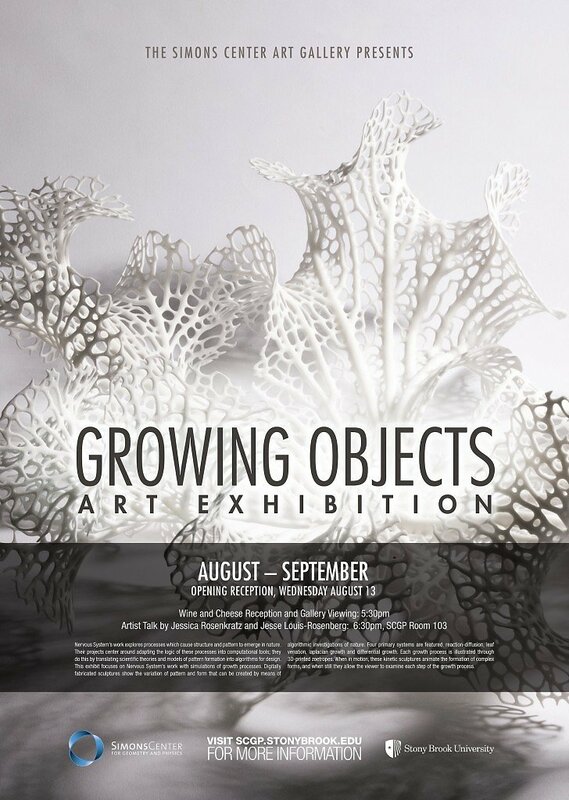 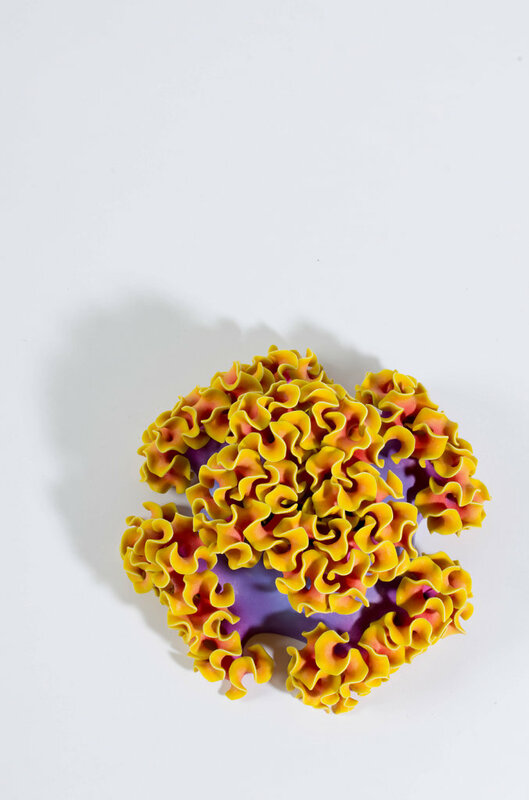 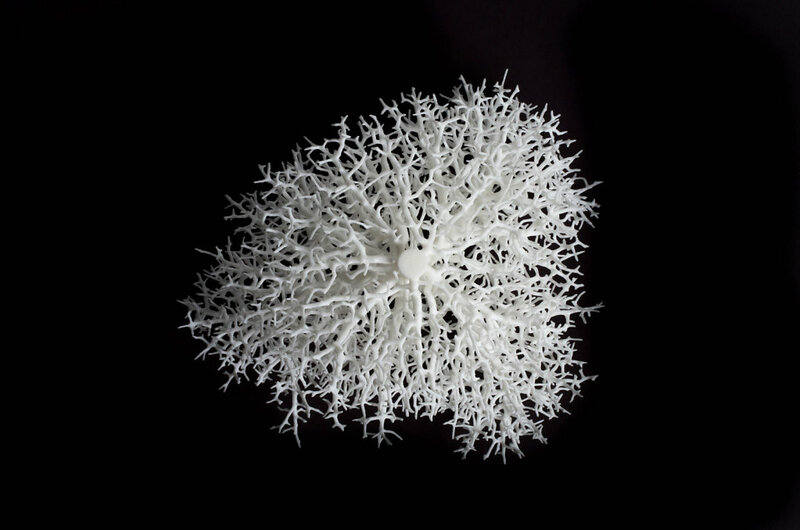 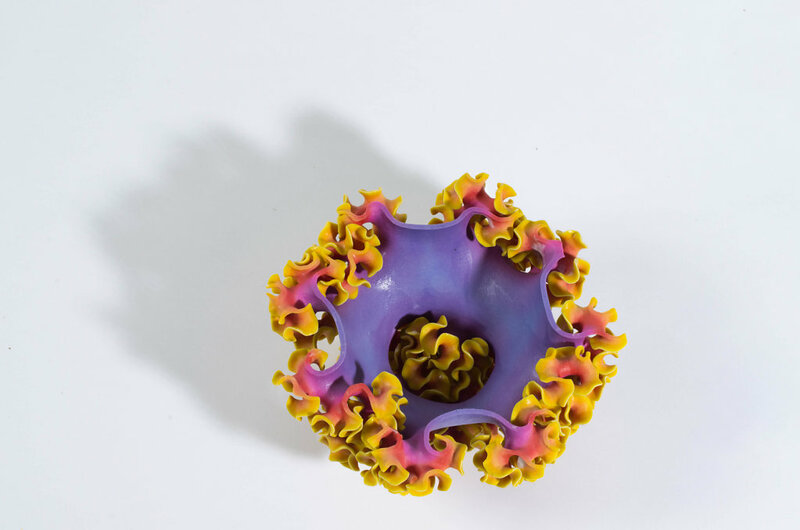 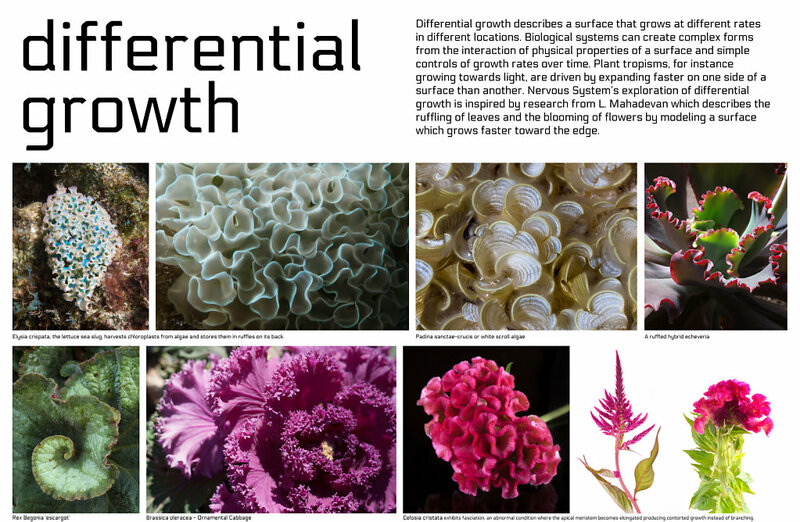 Our solo exhibition "Growing Objects" explored natural growth processes through simulation and 3D printed sculpture. 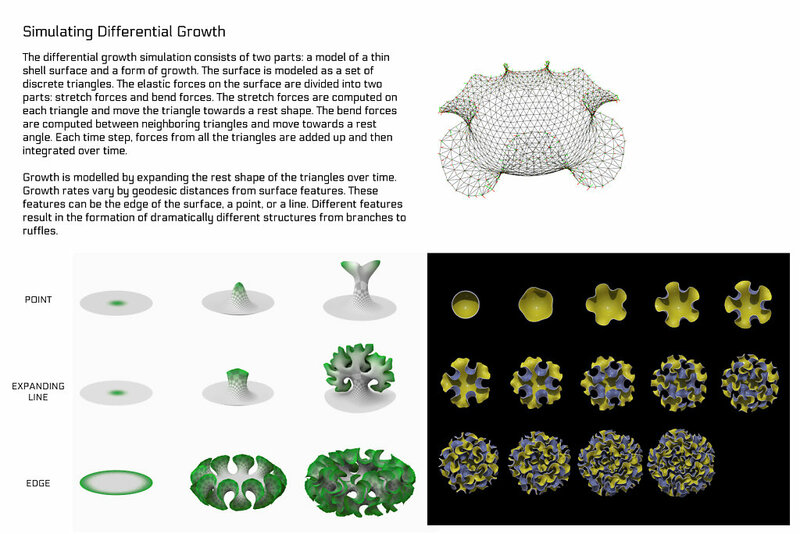 It was hosted by the Simons Center for Geometry and Physics in Stonybrook, NY in August and September of 2014. 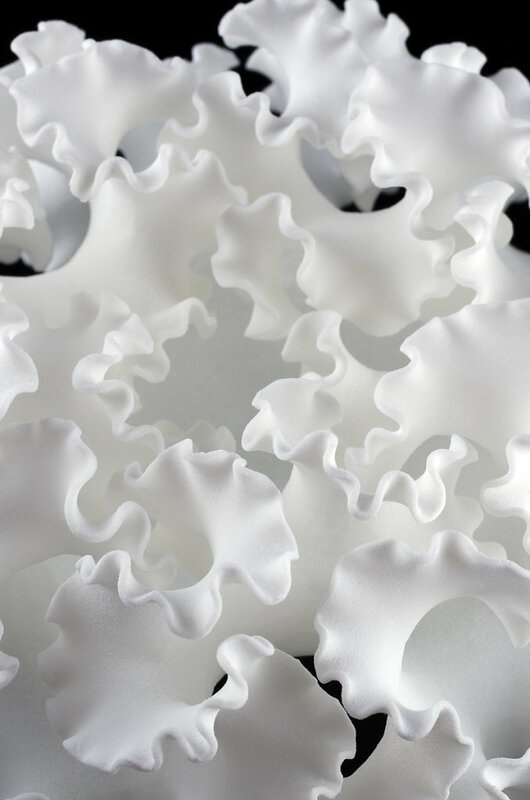 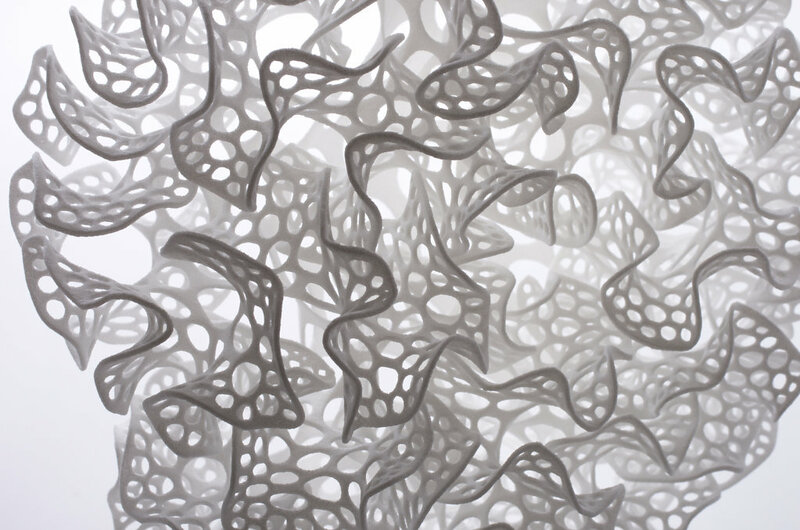 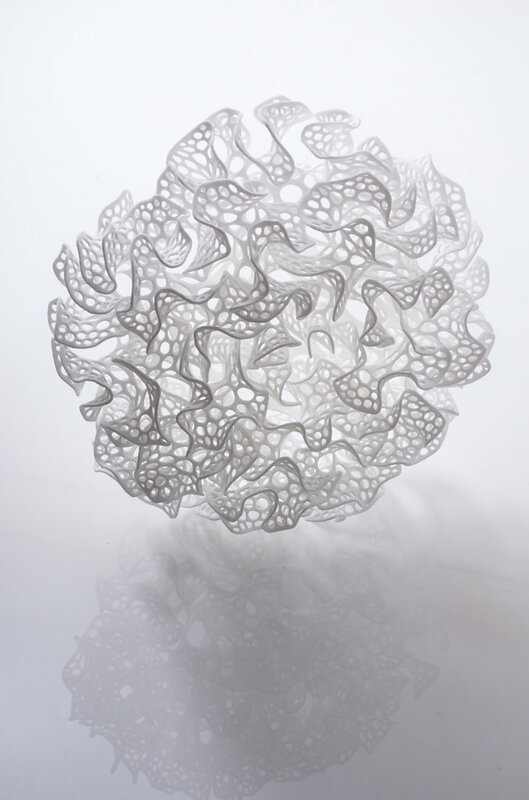 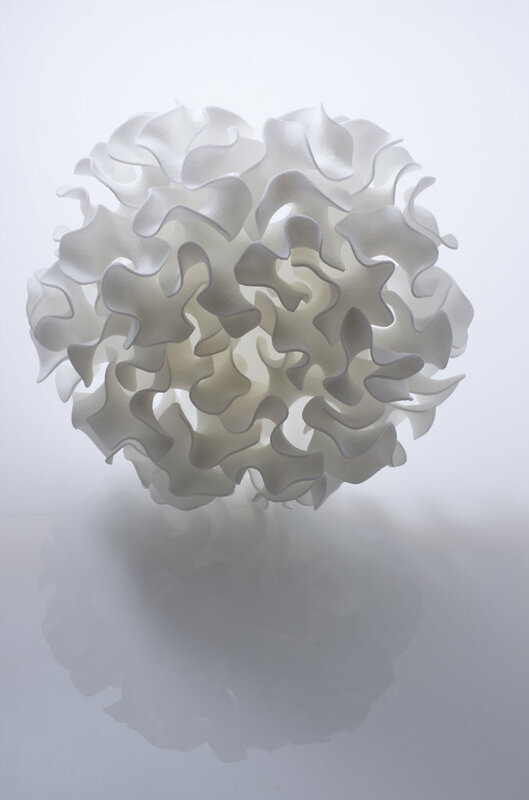 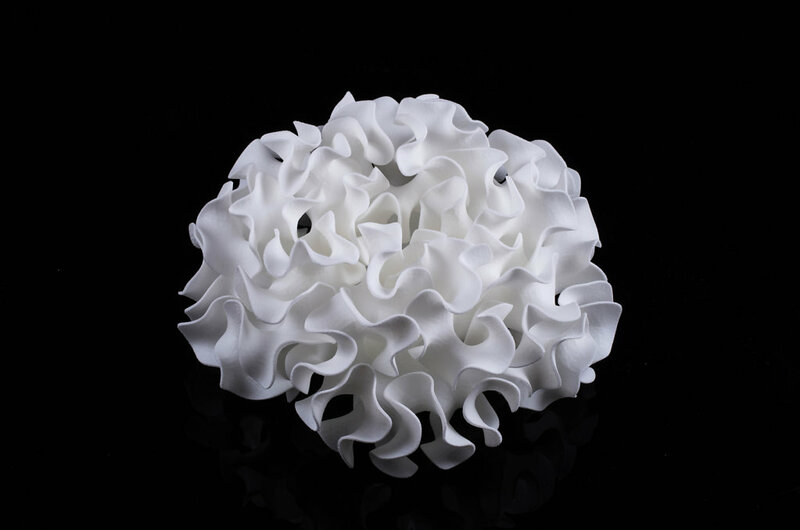 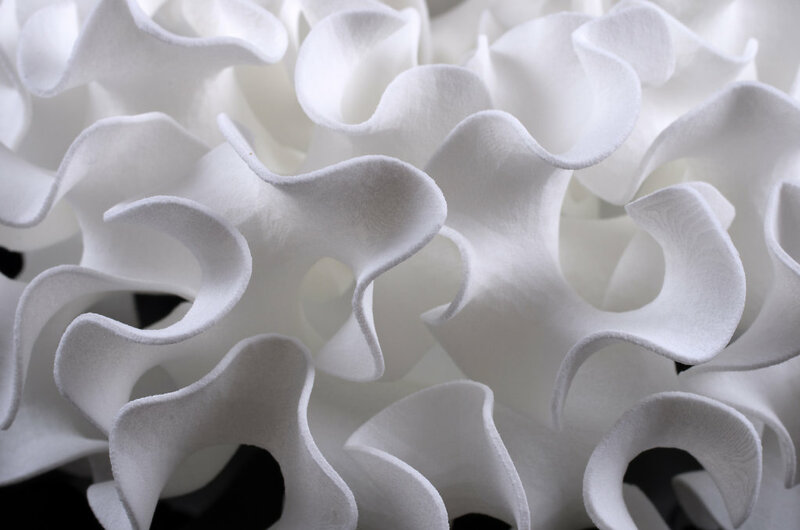 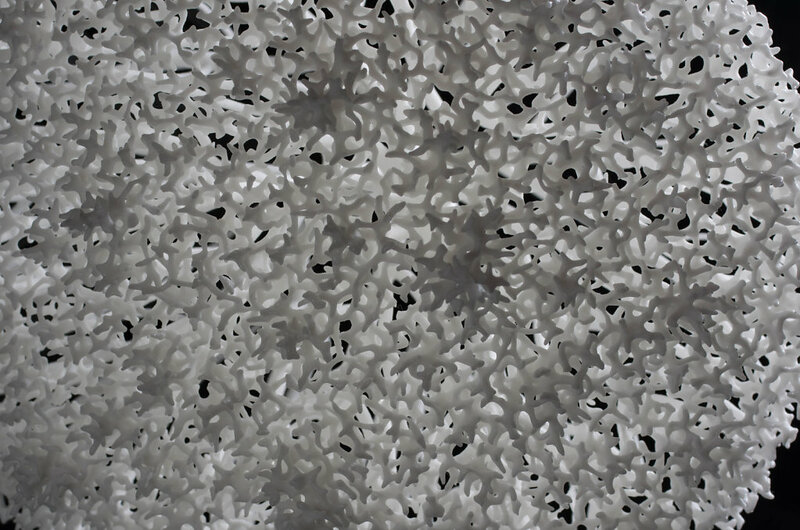 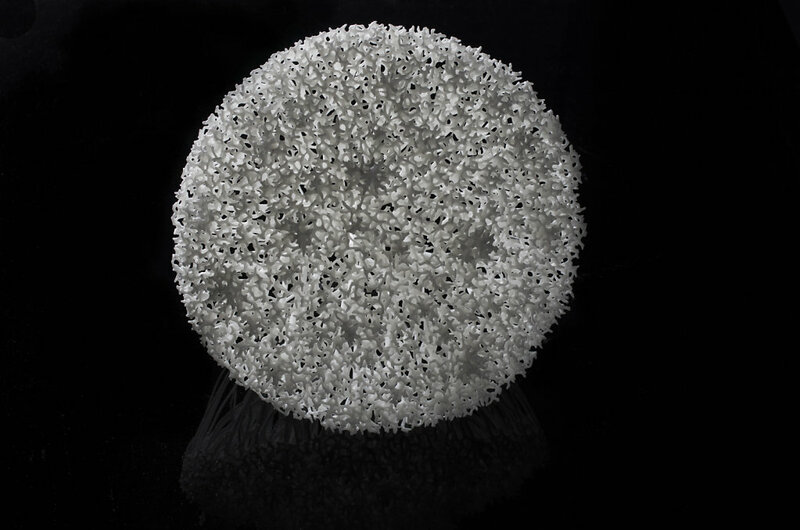 Our work at Nervous System explores processes which cause structure and pattern to emerge in nature. 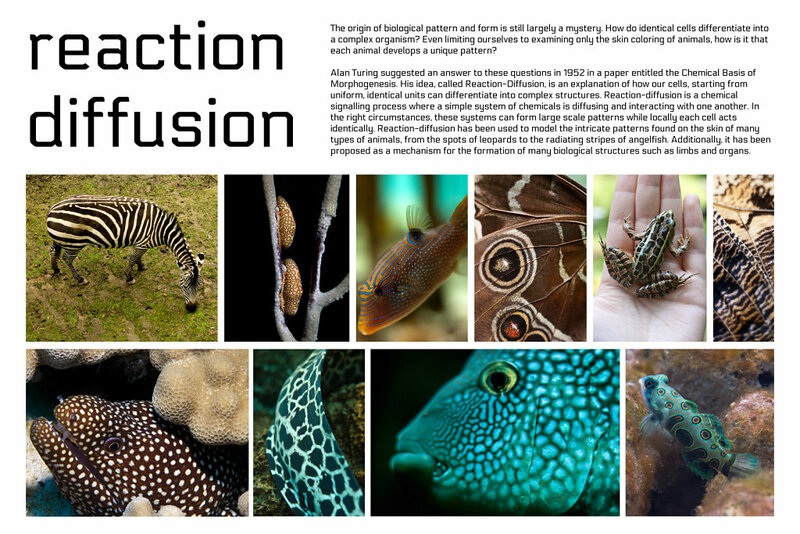 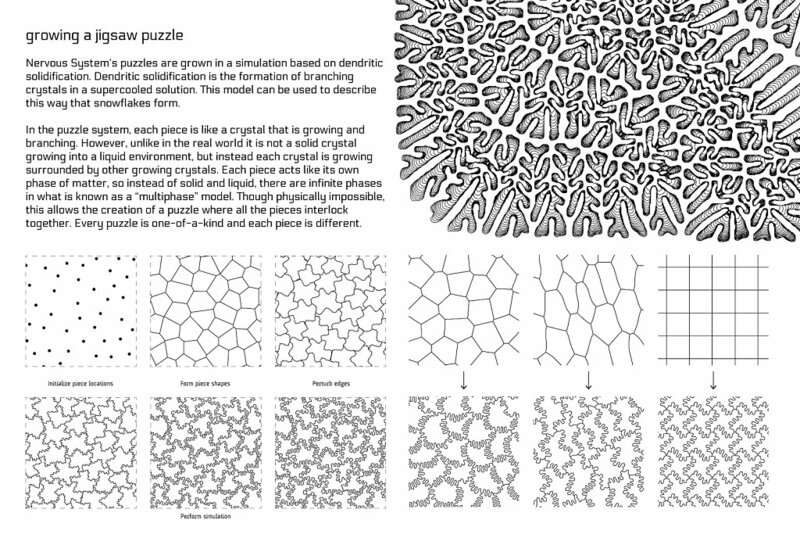 We adapt the logic of these processes into computational tools; translating scientific theories and models of pattern formation into algorithms for design. 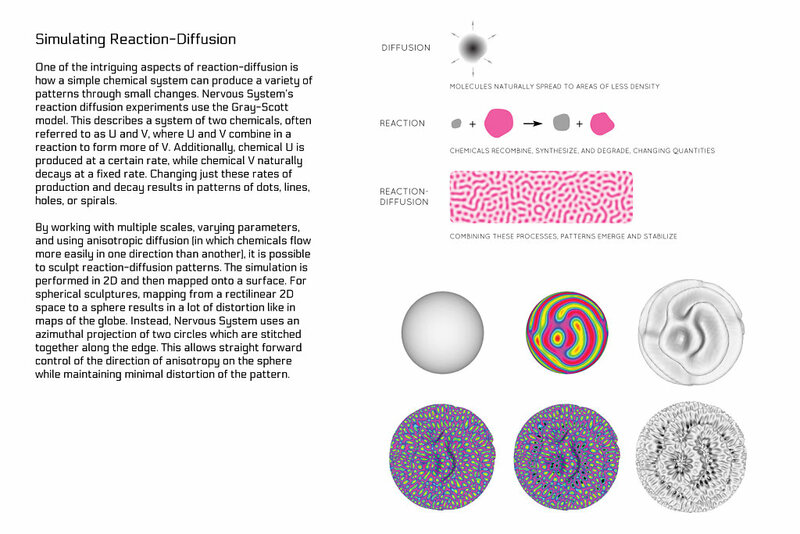 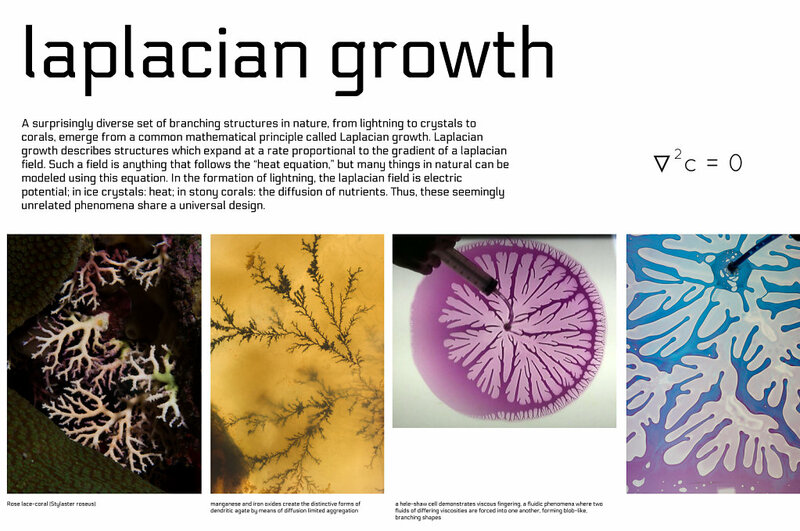 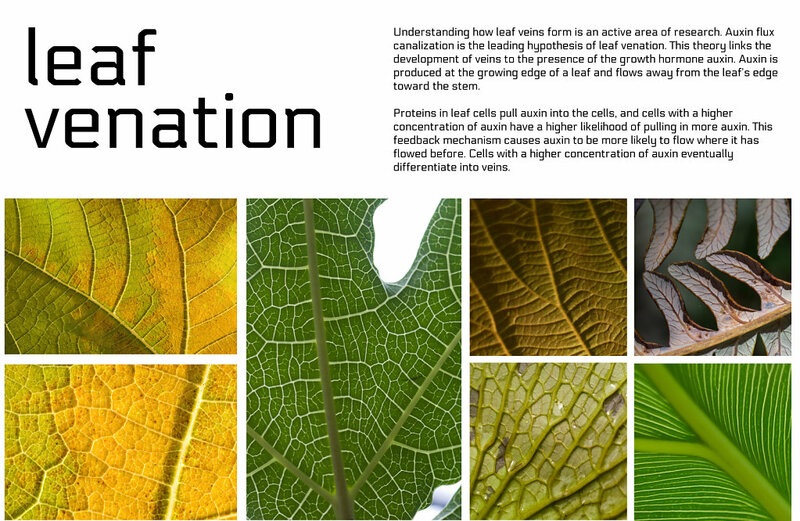 The exhibit focused on four such computational systems: reaction (2010), xylem / hyphae (2011), laplacian (2011), and florescence (2014). 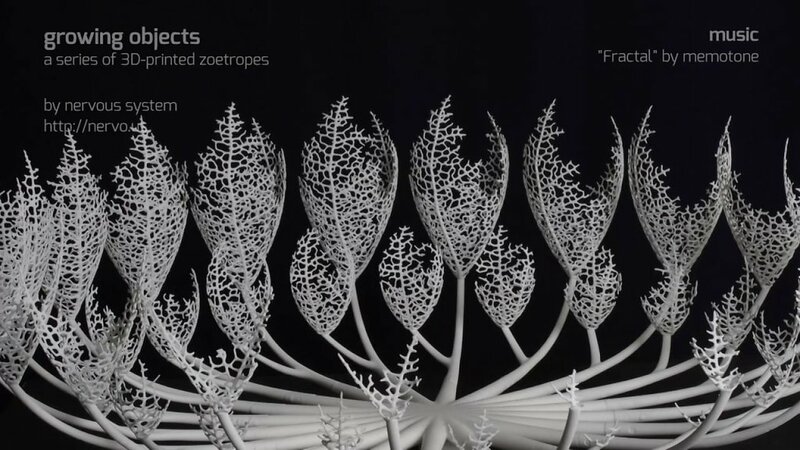 These algorithmic investigations of nature were each documented by digitally fabricated sculptures and a series of posters explaining the math, science and natural inspiration behind them. 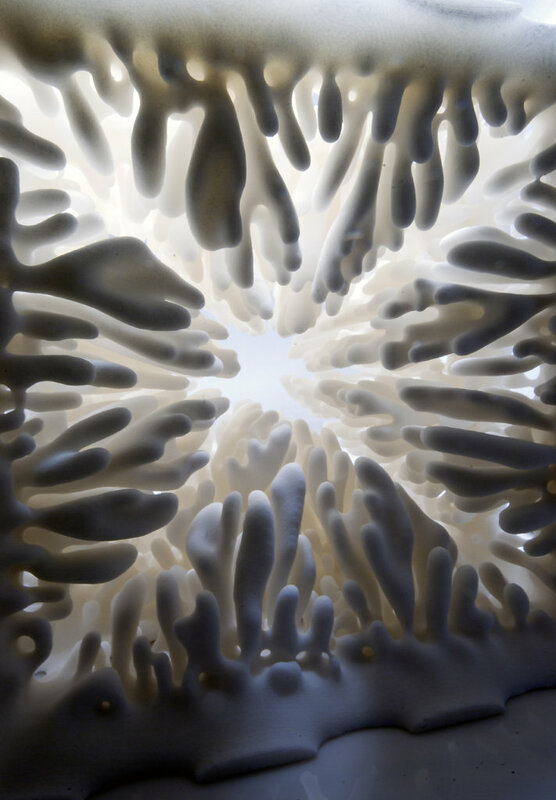 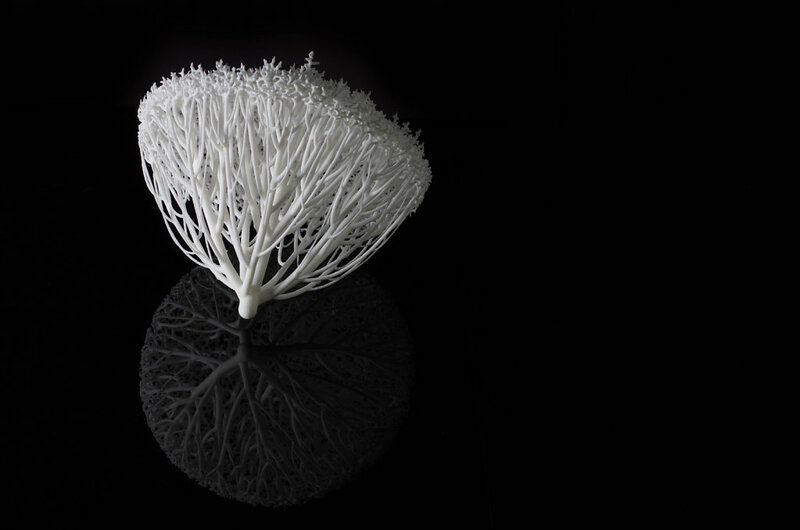 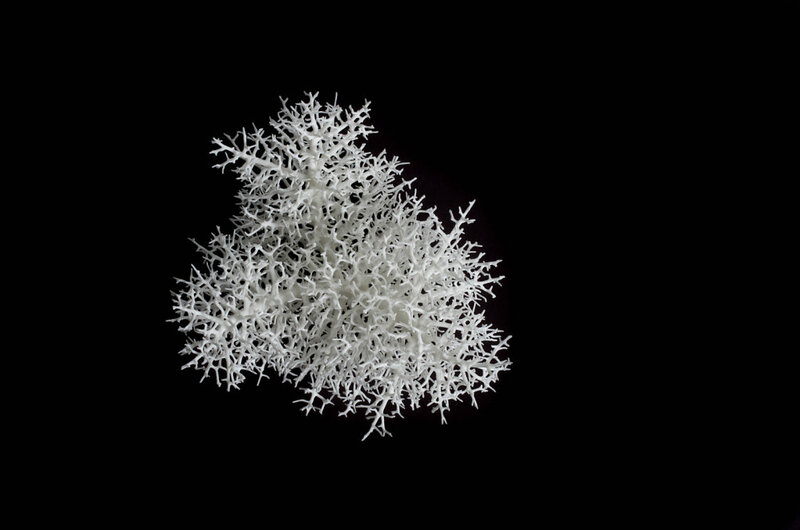 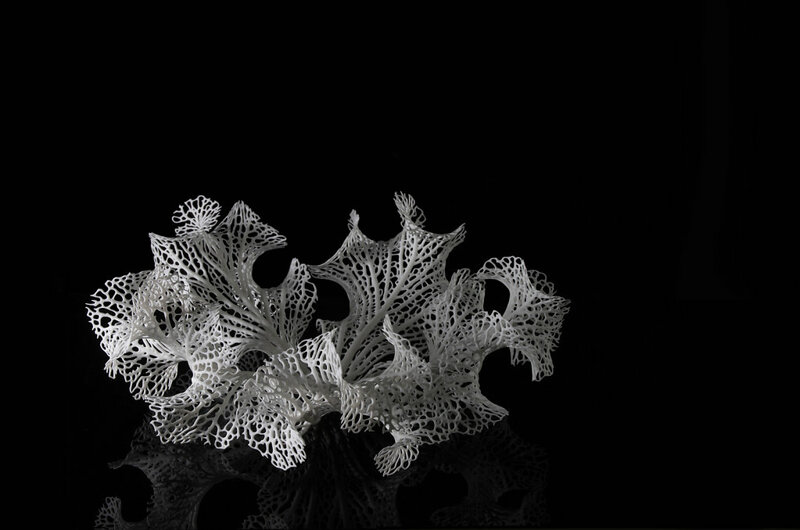 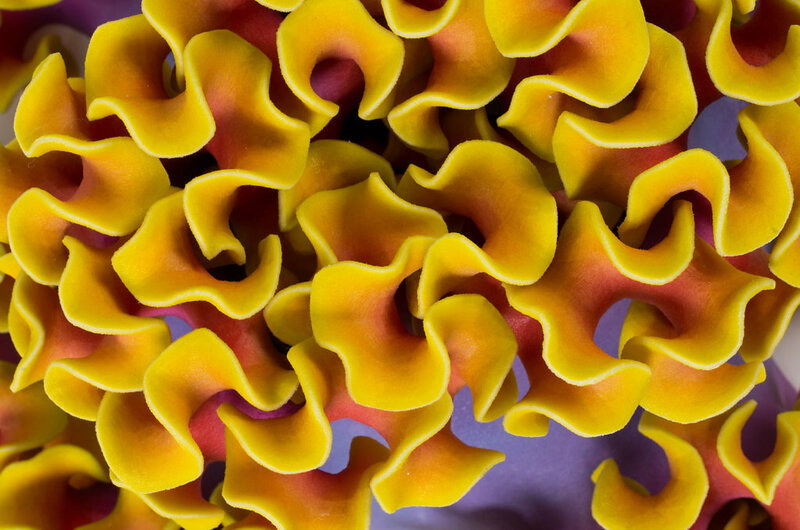 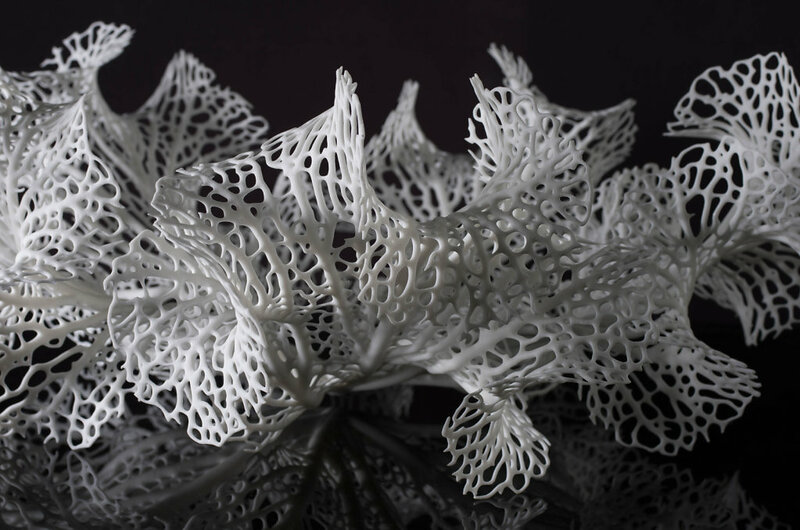 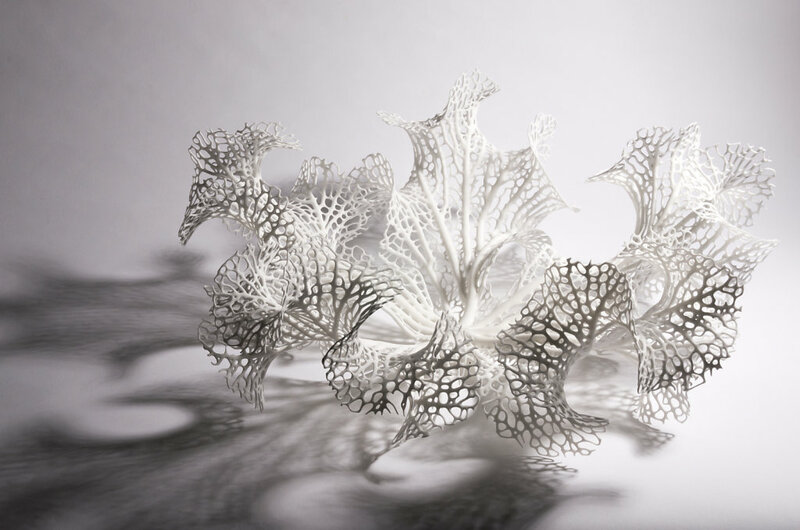 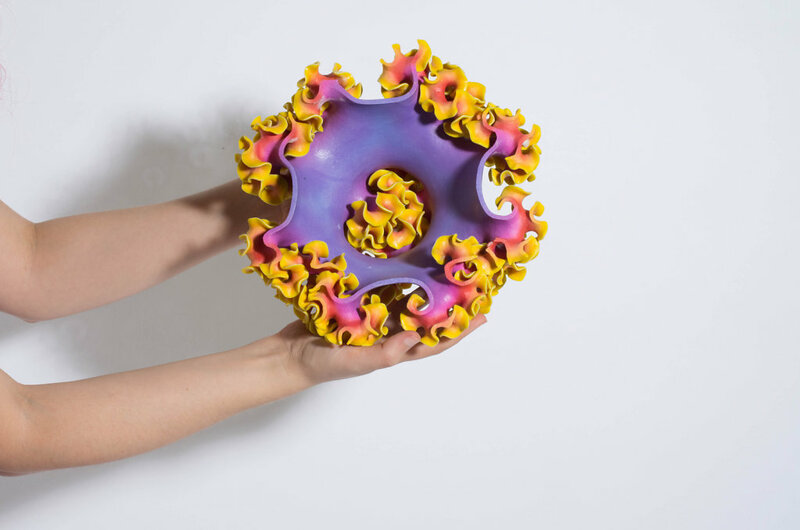 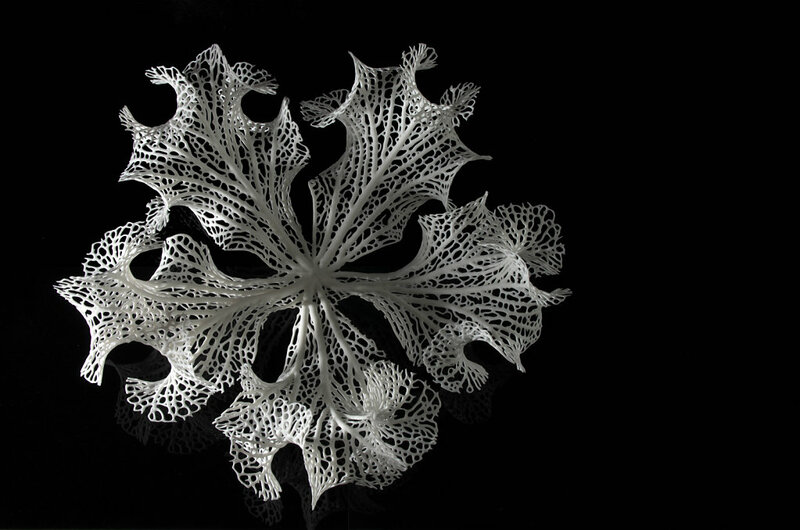 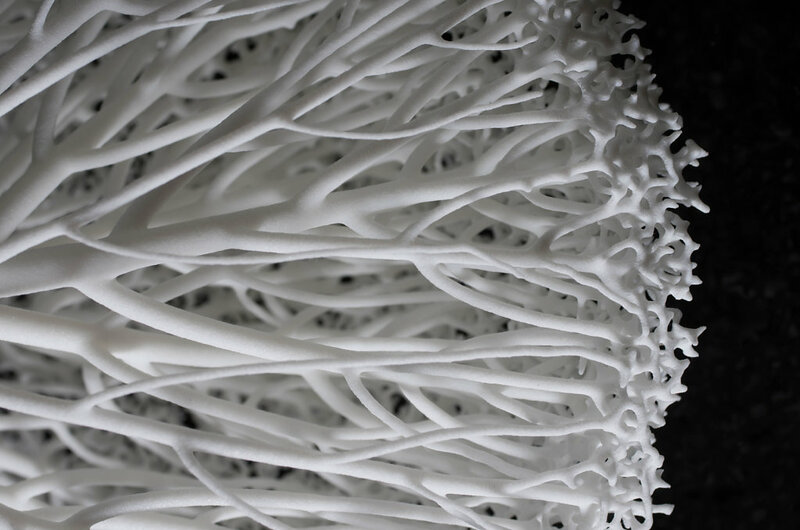 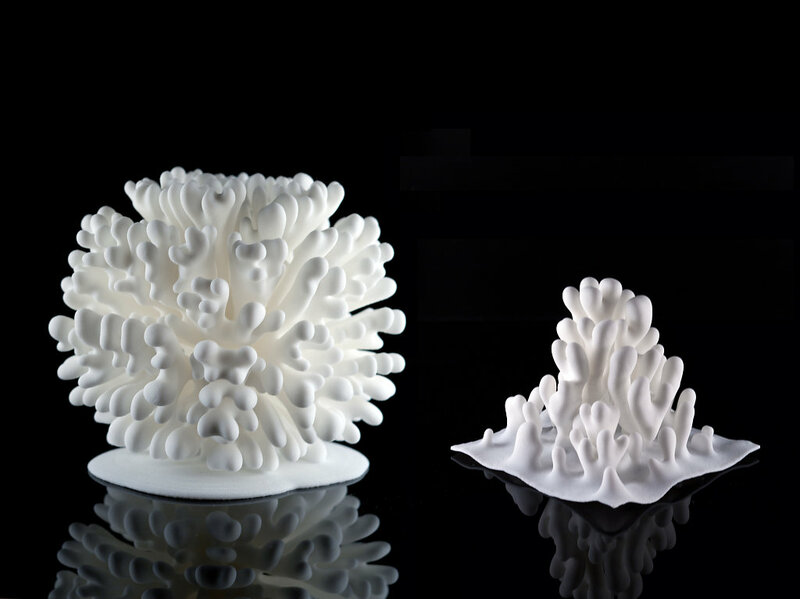 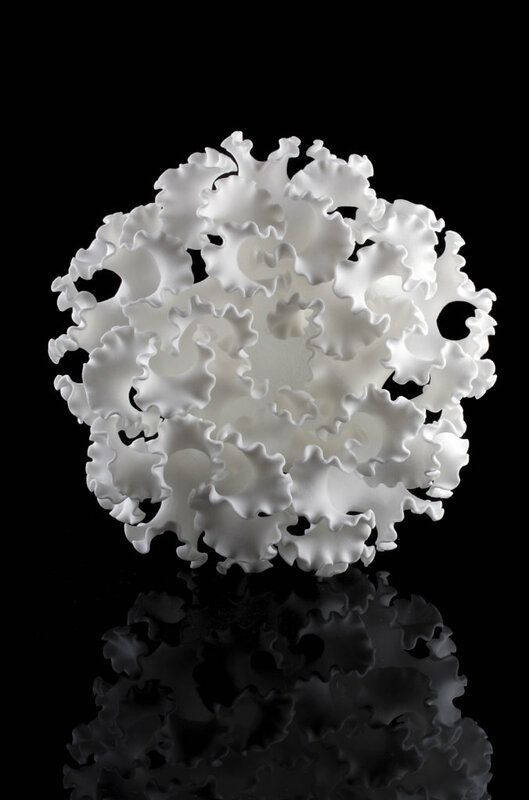 Each growth process was also illustrated through 3D-printed zoetropes. 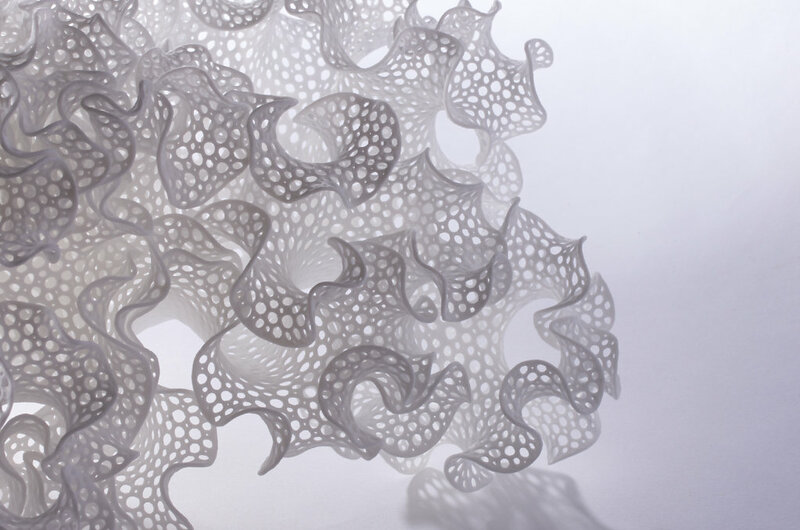 When in motion, these kinetic sculptures animate the formation of complex forms and when still they allow the viewer to examine each steps of the growth process. 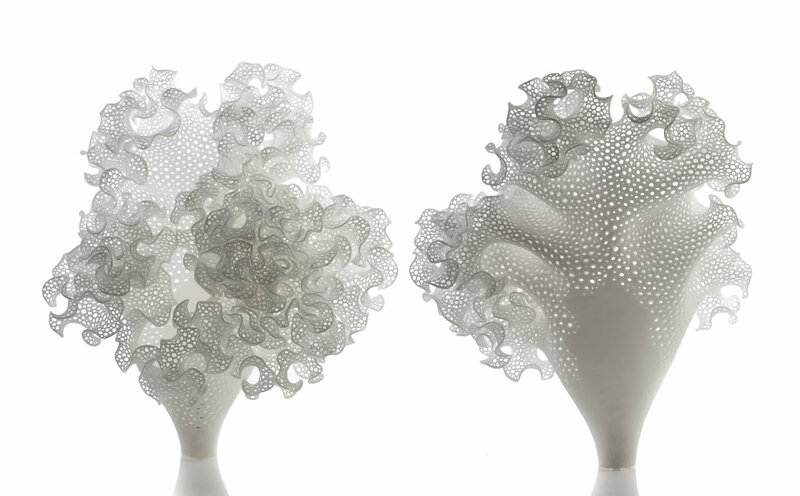 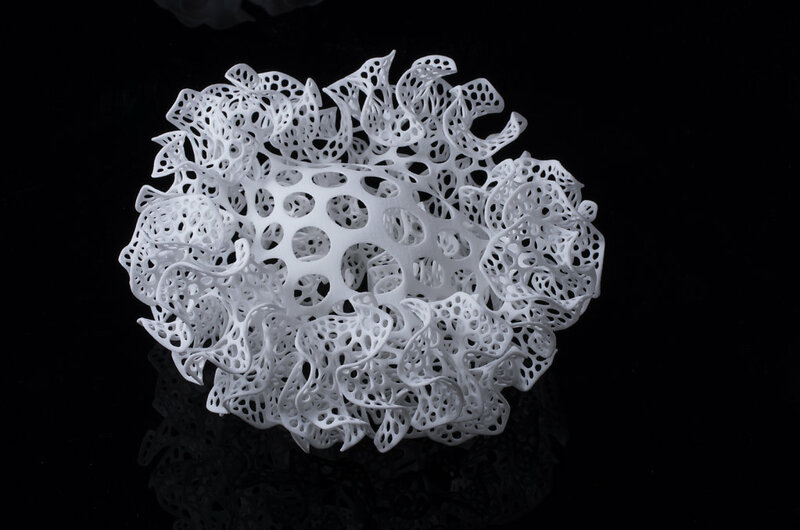 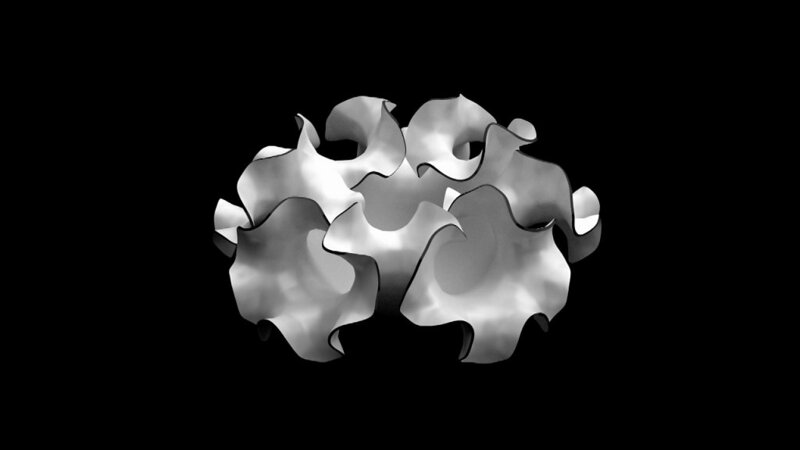 While inspired by natural systems, these sculptures do not directly mimic specific phenomena but are instead open-ended explorations of the mathematics and logic behind them. 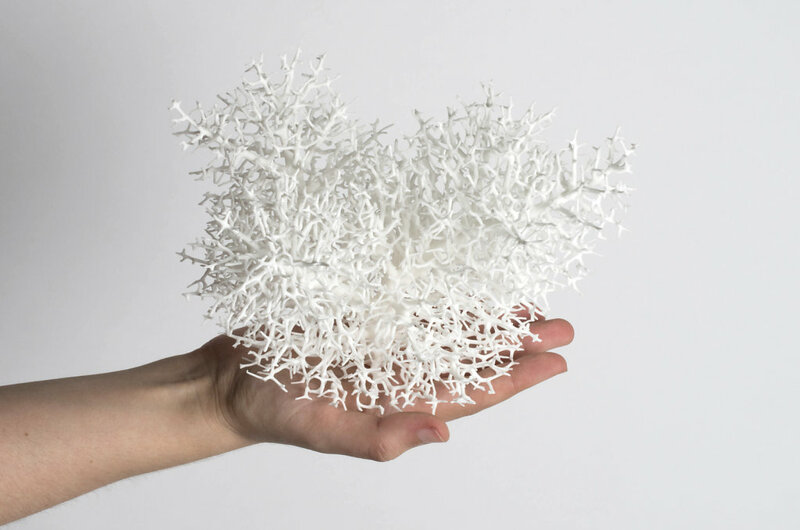 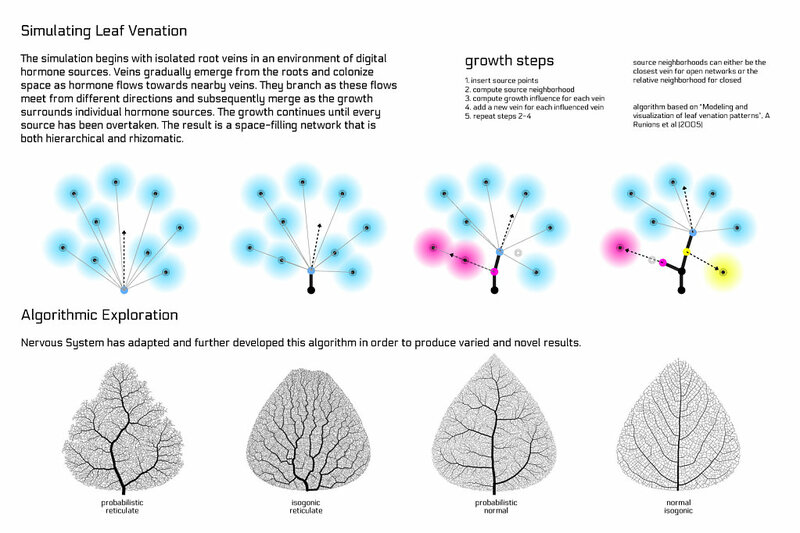 The generated forms propose a new way of thinking about how we can design or "grow" our environment. 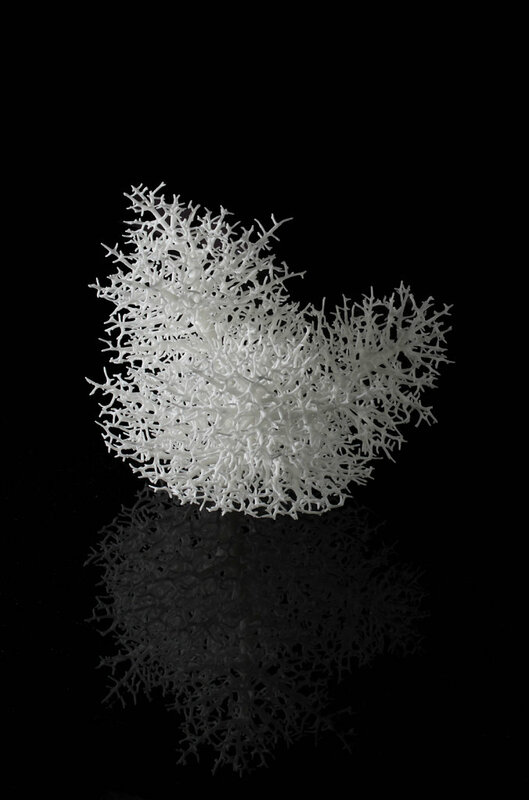 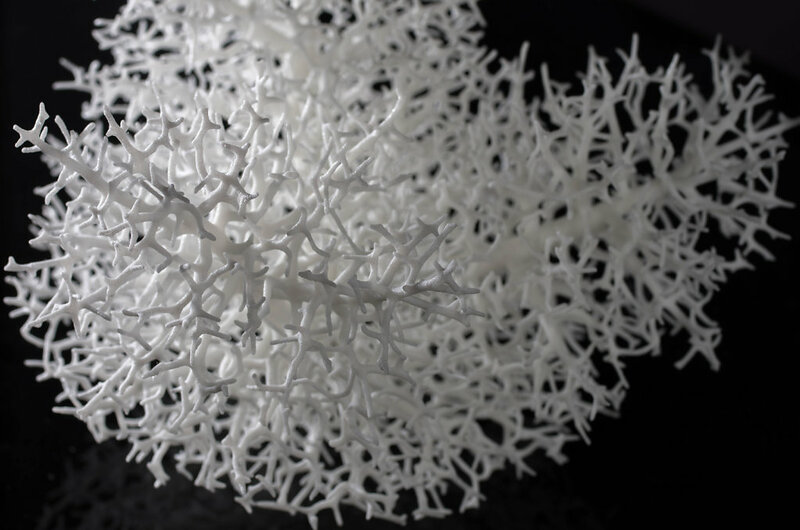 nylon 3D printed by Selective Laser SinteringThis form was grown differentially from the edge of a hemisphere.